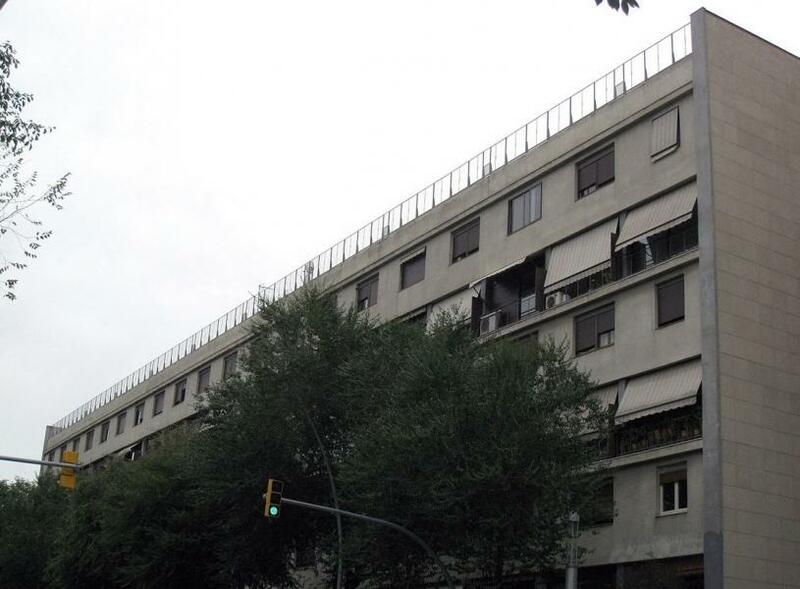 Begun in 1933, the Casa Bloc was designed to provide dignified housing for workers by three leading members of GATCPAC (Grup d'Artistes i Tècnics Catalans per al Progrés de l'Arquitectura Contemporània): Josep Lluís Sert, Josep Torres Clavé (1906–1939) and Joan Baptista Subirana (1904–1978). It was to be a showcase for the Second Republic: the laying of the first stone was attended by the President of the Generalitat, Francesc Macià. By the end of the Civil War, however, it was still incomplete, and the building was finished under Franco and used to house widows and orphans from the war, and later members of the Guardia Civil. Beginning in 2010, one of the flats, Apartment 1/11, was painstakingly restored to its original simple but functional appearance; Museu del Disseny offers guided tours on Saturday.